Coasters make great gifts or promotional hand outs. Stamp or deboss your logo on elegant top grain leather. 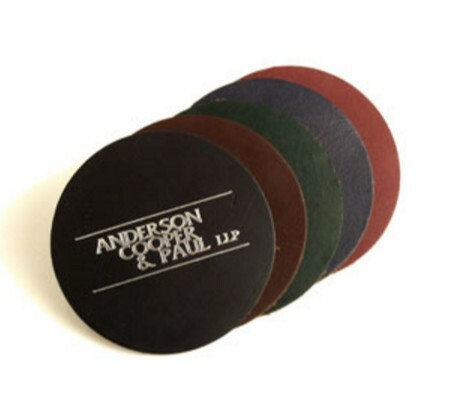 These coasters are a classy promotional gift for business name branding as well as coporate gifts.